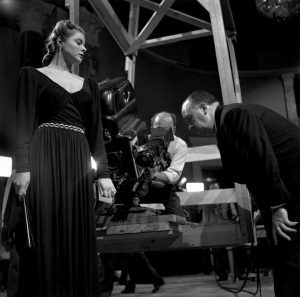 Picture this: Ingrid Bergman is on-set. She’s playing the role of Irene Wagner in Roberto Rossellini’s ‘Fear’, based on the novel by Stefan Zweig. She receives a telegram, perhaps a phone call. 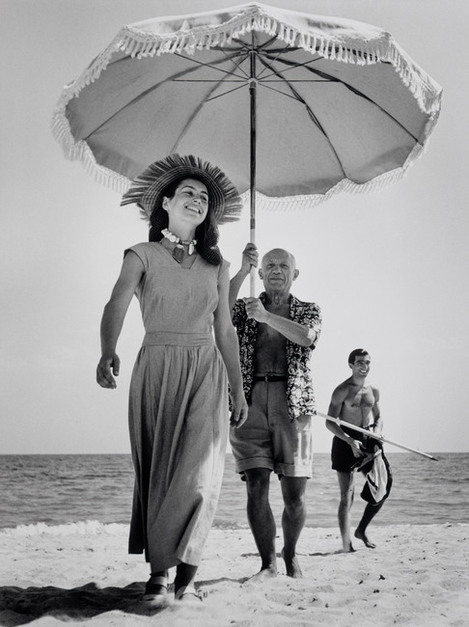 She is informed that her one-time lover, Robert Capa, is dead, killed by a landmine in Thai Binh, Vietnam. Capa was there on assignment from Magnum, the world-renowned photographic agency he co-founded, covering the First Indochina War. So ended the brief but extraordinary life of Hungarian émigré, Endre Friedmann, born October 22, 1913. 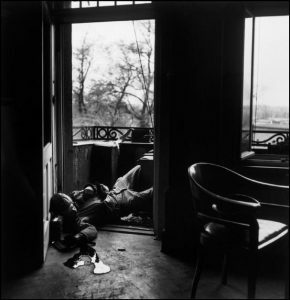 Friedmann, or Robert Capa as he came to be known, was arguably the finest war and adventure photographer of all time. After fleeing Hungary he arrived in Vienna, aged just eighteen, and from there he travelled to both Prague and Berlin. He started studying at the German Political College, but Nazism was on the rise, and he was barred from his studies because he was a Jew. 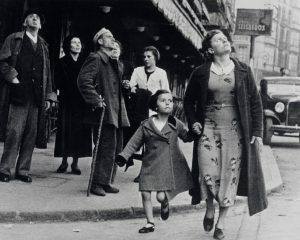 He moved to Paris in 1934, and here he met a German-Jewish refugee by the name of Gerda Pohorylle. 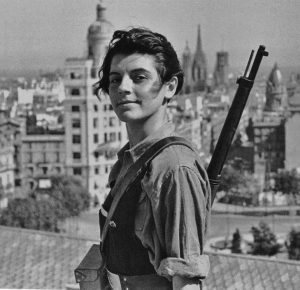 Capa taught her photography, and she accompanied Capa to Spain to cover the Civil War in 1936. 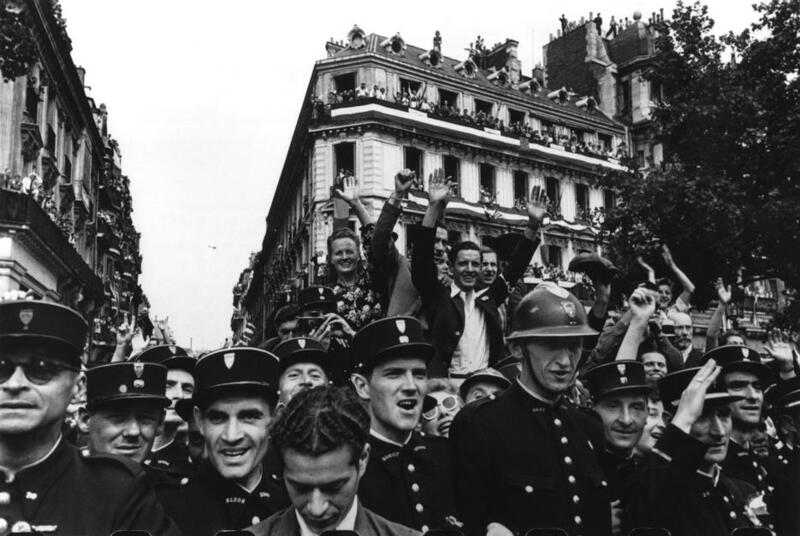 In July of ’37, Capa went back to Paris for a short while. Gerda, now calling herself Gerda Taro, stayed in Madrid to continue covering the war. She was ‘killed in action’, crushed by a Loyalist tank in a confused retreat from Brunete. They had been engaged to be married. The shock, from which Capa apparently never recovered, was such that he never again considered marriage. Capa, ever the adventurer, went on to cover the second Sino-Japanese War, World War II (including being the only photographer who landed with Allied forces on Omaha Beach in 1944), the 1948 Arab-Israeli War and the First Indochina War. 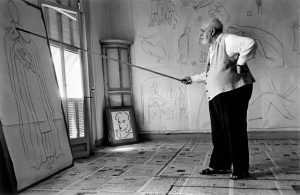 His friends included the likes of Ernest Hemingway, Pablo Picasso, Gary Cooper, John Steinbeck and John Huston. Eisenhower awarded Capa the Medal of Freedom, and in his home country of Hungary, both a stamp and a gold coin were issued in his honour. 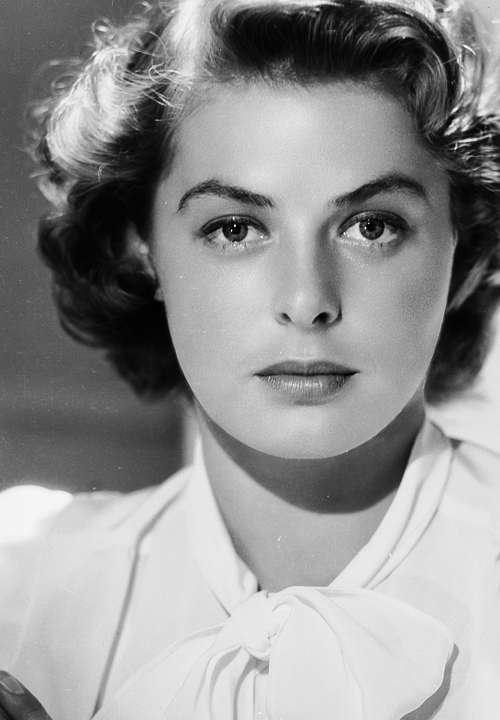 He maintained a relationship with Elaine Justin from February of 1943 to the end of the war, and then some months later he and Ingrid Bergman became lovers. In December of 1945, Capa followed Bergman to Hollywood where he worked for American International Pictures for a short while. In the summer of ’46, Capa travelled to Turkey and his relationship with Bergman ended. And so his life continued for a further eight years, forever challenging himself, his contemporaries, the world itself. 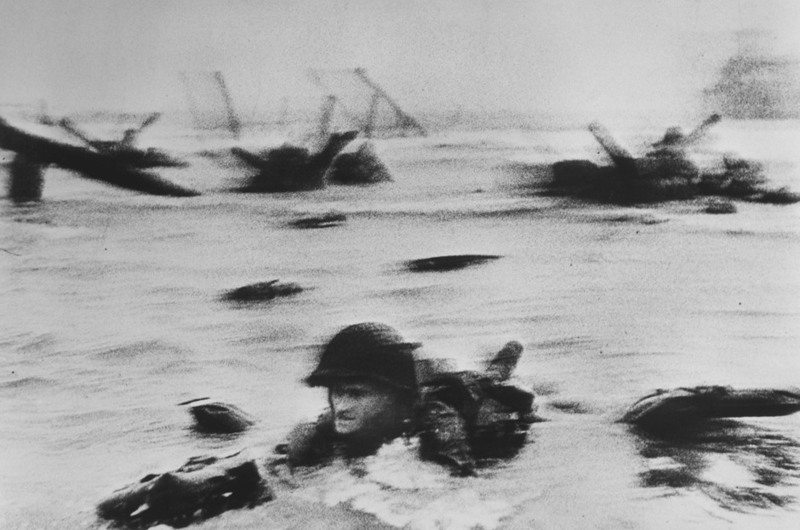 He was responsible for some of the most iconic war images ever produced, perhaps the most famous being ‘The Last Man to Die’ on April 18, 1945 when US forces fought to secure a bridge in Leipzig. Capa became friends with John Steinbeck, and together they travelled to Russia and collaborated on Steinbeck’s, ‘A Russian Journal’. 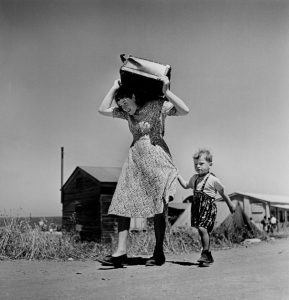 Capa was responsible for the photographs that accompanied Irwin Shaw’s book, ‘Report on Israel’ as the state was being founded. Capa, alongside Henri Cartier-Bresson, William Vandivert, David Seymour and George Rodger founded the Magnum Agency, and was President in 1952. Magnum was the first cooperative agency for freelance photographers in the world, and – even now – is renowned for the sheer excellence of the work produced by its members. He accompanied Truman Capote, John Huston and Humphrey Bogart to Italy, and documented the making of ‘Beat the Devil’. 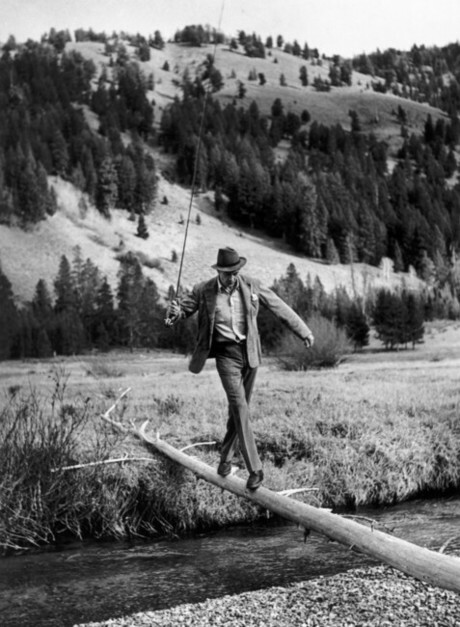 Capa, as much as anyone, was one of those truly ‘larger-than-life’ characters, one of those people whose identity informed their own work, the work of others, and exceeded anything we could call an ‘ordinary life’. 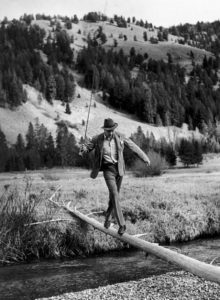 Impulsive, daring, almost fearless in his approach to his work, that same Devil-may-care attitude was demonstrated in everything that he did and everything he was. As I have said before, perhaps the greatest fear for such a personality is to walk the earth unseen, unrecognised, unremembered. 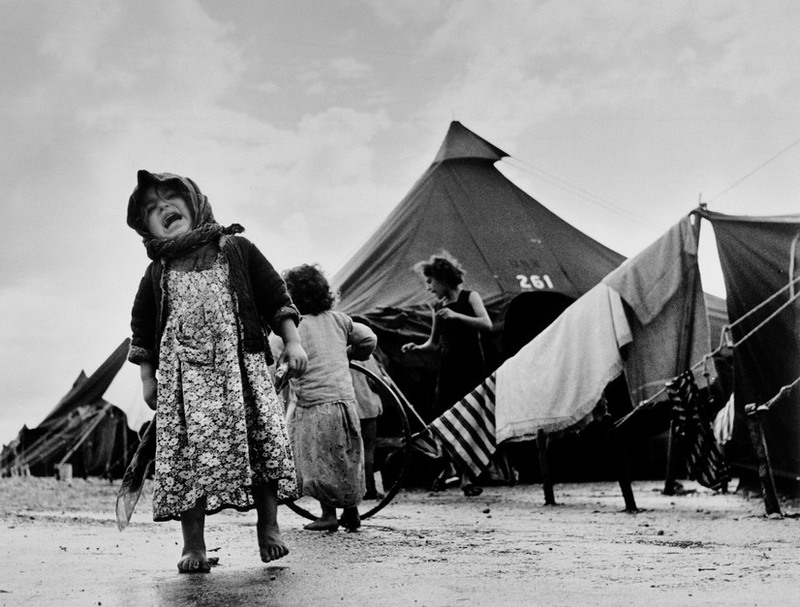 Robert Capa, in a too-brief forty years, left his footprints and fingerprints in so many places. Even now, the essence of his personality remains in so many lives. As the saying goes, a man dies twice: Once when he stops breathing, and again when his name is mentioned for the last time. 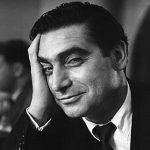 Sixty-three years on, Capa is perhaps as alive as he ever was, and his legacy will last for many generations yet to come. FRANCE. Normandy. June 6th, 1944. US troops assault Omaha Beach during the D-Day landings (first assault). GERMANY. Leipzig. World War II. April 18th, 1945. 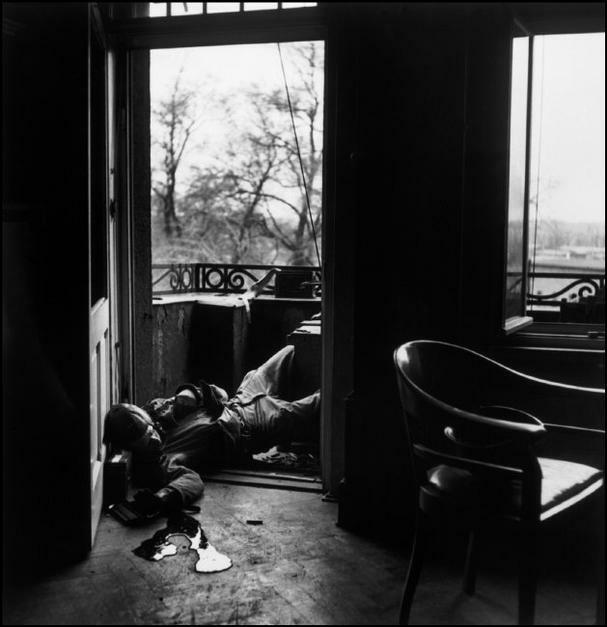 An American soldier killed during a house to house fight against German troops. FRANCE. 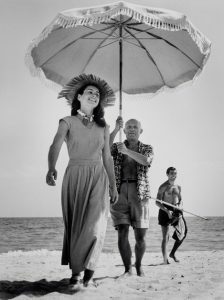 Pablo Picasso and Françoise Gilot. In the background the painter’s nephew Javier Vilato. August 1948. SPAIN. Bilbao. May 1937. Crowds running for shelter as the air-raid alarm sounds. USA. Hollywood. April/May 1946. Filming of “Notorious” Director: Alfred HITCHCOCK. Starring Ingrid BERGMAN, Cary GRANT, Claude RAINS and Louis CALHERN. FRANCE. 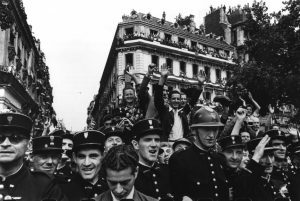 Crowds throng the Champs Elysees during the celebrations on the 26th August 1944 for the liberation of Paris. USA. Idaho. Sun Valley. October 1941. Gary COOPER. ISRAEL. Haifa. 1949-50. Arriving immigrants. USA. Idaho. Sun Valley. October 1941. 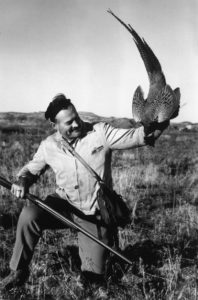 American writer, Ernest HEMINGWAY. FRANCE. Nice. August 1949. Henri MATISSE in his studio. FRANCE. 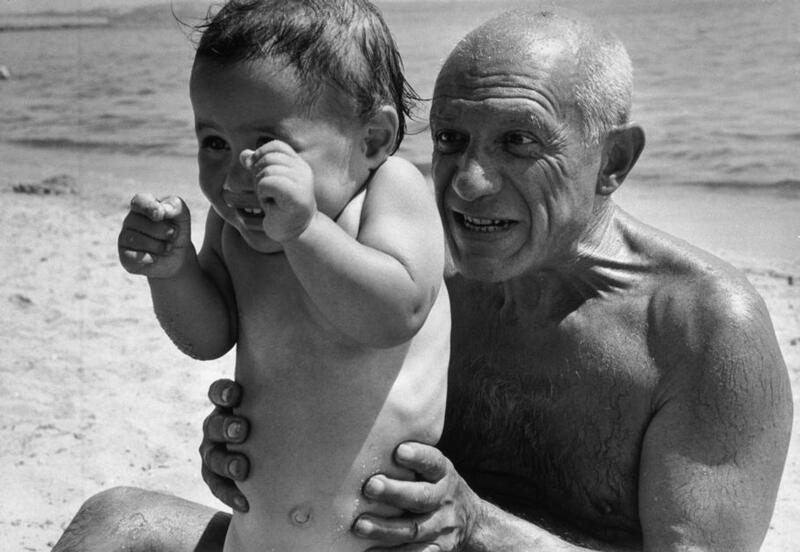 Pablo PICASSO with his son Claude.